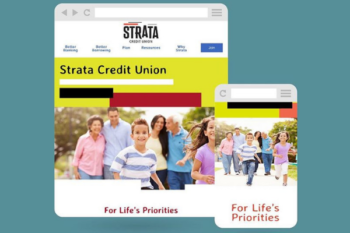 We are excited to celebrate the launch of Strata Credit Union’s new and improved website! Formerly Kern Federal Credit Union, Strata was looking for more than a name change. 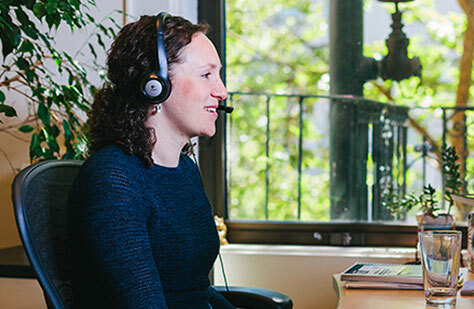 The team felt that their former website didn’t speak to Strata’s evolving target market in Kern County, CA, nor did it offer a seamless or particularly memorable online experience. Strata really wanted its new website to make an impression. To that end, we used a bold color scheme, with plenty of white space to allow the colors to jump out. This color scheme, combined with a playful header font, earnest tone, and homepage copy dedicated to illuminating the “Strata difference,” all help Strata stand out from the crowd. Demographics in Kern County have shifted over the last decade, and as of 2018, over 50% of the population identified as Hispanic or Latino. Strata also wanted to speak more directly to youth and young adult markets. We made sure to reflect both populations (which overlap considerably) in the website’s photography and testimonials, and also to showcase relevant products, like Youth Accounts and ITIN Loans for non-citizens. 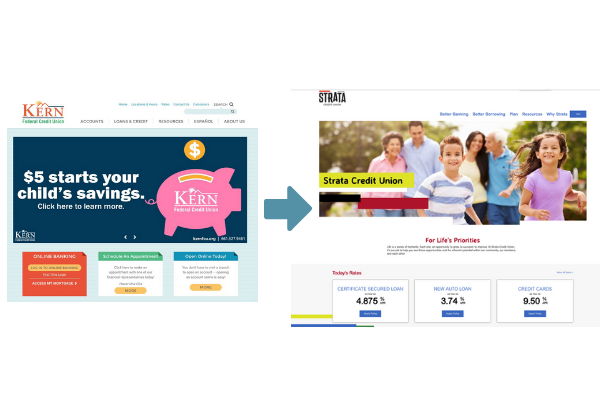 “Delight” is one of our favorite words around here, and the team at Strata shared our goal to create a delightful digital experience. Our basic formula is visual creativity + UX best practices = delight. While it’s important to make our websites stand out from the crowd, it’s equally important to ensure that they are built upon solid UX best practices. After all, creativity taken too far will only end up frustrating users who still need to be able to find what they need with a minimal amount of effort. Visual product pages, streamlined navigation, and prominent calls to join or login to online banking all help to enhance member delight. Explore more at stratacu.org and see more in-depth PixelSpoke case studies here. Are you ready for a website makeover? We’d love to talk!